General fly fishing news of note. Yikes. This has probably been the coldest February since I started spending the winters in Montana back in 2006-2007. It’s certainly the first time I remember February being both colder and snowier than January. Here’s a still taken from the webcam near Pine Creek. See that shelf on the right side of the image? Ice. See the white haze down the middle of the river? Ice. See the island at mid-screen? Mostly ice. See the channels upstream? Almost all ice. Most of the river is in this sort of shape right now. With air temperatures of late ranging from the single digits below zero up to about 20 degrees, and more of the same in the future, don’t expect much change until at least March 10. 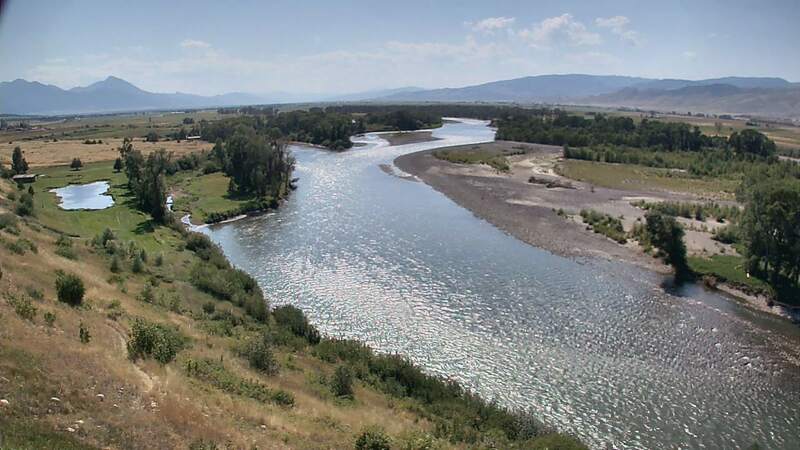 If you want to fish the Yellowstone, your only options for the foreseeable future are the mouths of the Gardner River or Depuy Spring Creek. Otherwise, stick to the spring creeks themselves. This is actually a very unusual state of affairs. 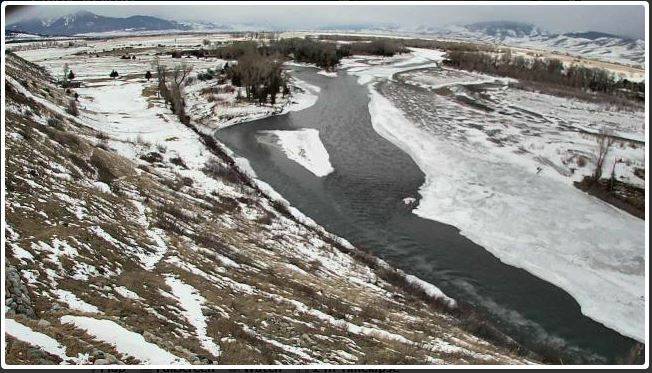 While floating is still out in late February almost every year, we’ve frequently got mostly open river except for ice jams along many banks. The fishing is often very good in the long, deep, midriver runs now, with some midge activity on calm, warm afternoons, but good nymphing any day temps are above freezing. Not right now. I’ll update the overall fishing report (click above) when things change. This cold is doing wonders for the snowpack. We’re at about 98-104% of normal in all our important drainages. Expect these numbers to jump 5-10% over the upcoming week, with heavy snow in the forecast. I’ll be posting a full update on the snowpack around March 10, but suffice it to say that it is looking more and more likely we’ll have normal snowpack (or so) for 2019. I (Walter) will be giving a fly tying demo at Peak Fly Shop in Colorado Springs, CO, on Saturday February 2, from 10AM until noon. I’ll be tying “Tourist season flies for the Yellowstone River,” with a heavy emphasis on dry flies. Looking for copies of my books? I’ll have them available for a discounted rate, cash-only.